In France, 60% of Aubrac heifers are crossed with Charolais bulls because of the Aubrac's ability to successfully cross with heavy beef breeds. When crossed with Charolais, the ease of birth is prominent as the birth rates are around 80lbs. The heads and shoulders spread at about 6 weeks as well. We have successfully crossed Aubrac bulls on Saler cows, resulting offspring with a calmer, more docile disposition. The calves appear to inherit shorter legs and greater feed efficiency. With this cross we see calmer animals with shorter legs and greater feed efficiency. 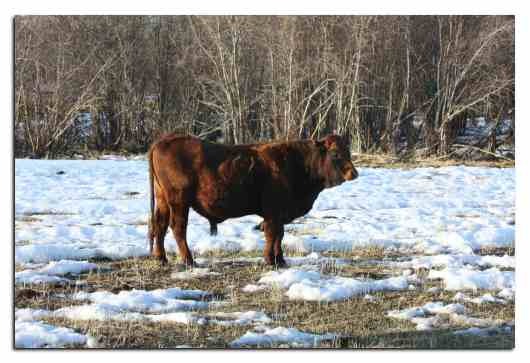 We see a lot of polled calves from this cross. 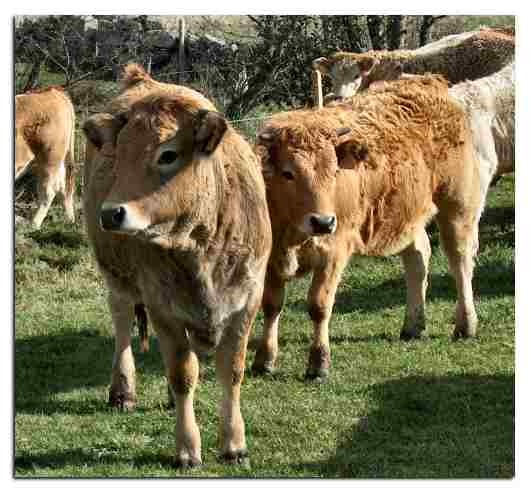 Home • Aubrac Info • Crossibility • Marketplace • Photo Gallery • Links We Like • Contact Us!